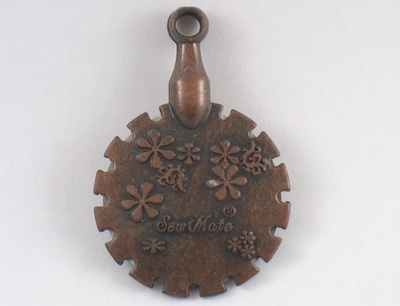 Sew Mate Thread cutter pendant is designed with an embossed floral design, and has a sharp circular blade for easy cutting. 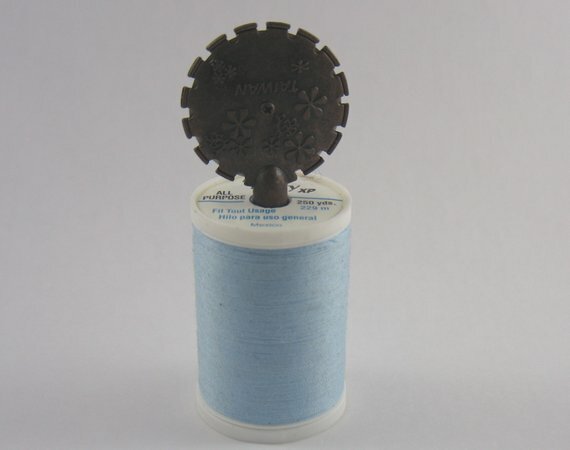 Can be set on top of the thread reel or used as pendant for cutting. Threads can be cut with any of the grooves. Wear it around your neck (just add ribbon), or place it in a thread spool!